MD ZIAUR RAHMAN, Habib160 and rayhaniqbaql like this. Are U allow Asia Affiliate ? Yes! Asian market really important for us we looking for affiliates with JPN/KOR/SGP traffic. Redoy Hossain and Hanif like this. St. Patrick's Day - Get Best or Nothing! Tujora, Alamin Hosen, Habib160 and 2 others like this. we contacted with you by PM. The Big List of SOI Offers That Converts. Offers That Has High CTR Every Time. How are you on TGIF ? We're looking for HQ Dating Traffic. CPL / PPS / RevShare / CPI base. ping me at [email protected] for more details, fast approval. sagorhossain and Redoy Hossain like this. 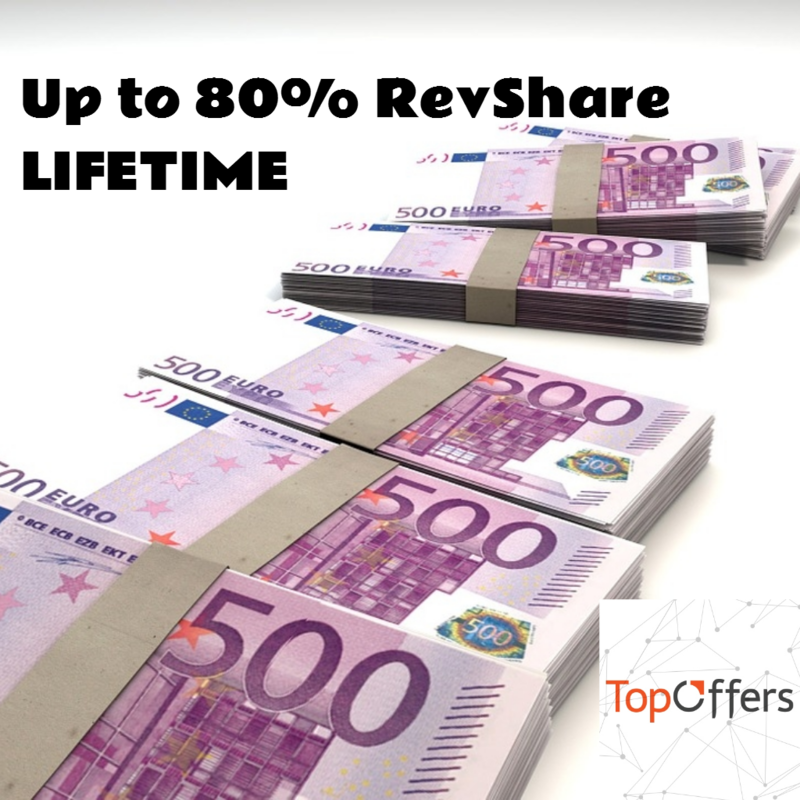 Are you tired of offers that just ain't choice? 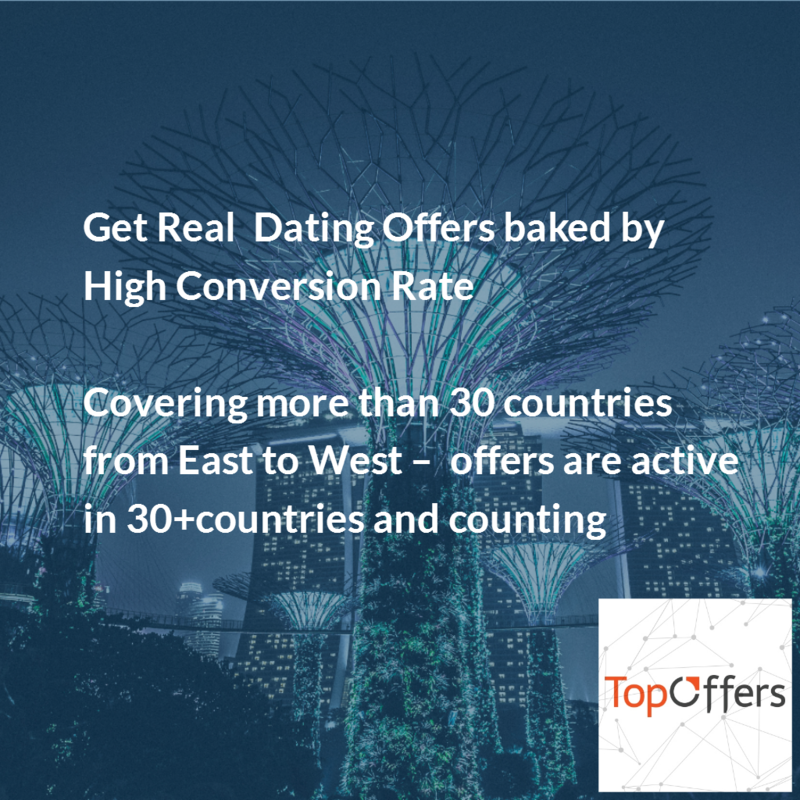 Get Real Dating Offers baked by high conversion rate. Test our offers, and you'll get nothing but best. 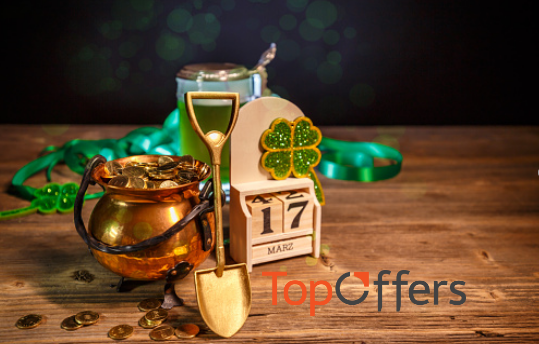 Once you join TopOffers, you can be sure you'll start to make more money. 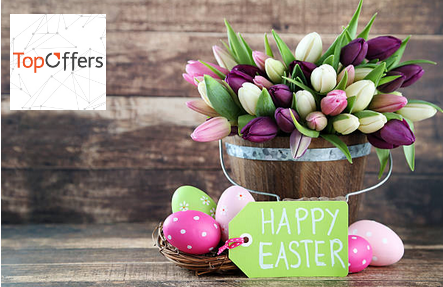 We’re partners with such sites as Together Networks, UpForIt Networks, Iwuns Networks. We accept traffic from 30+ countries with our strongest geos being English-speaking countries Tier1 and Asian Traffic Japan, Korea, Singapore. If you're looking for a solid network to send your traffic to, just sign up. 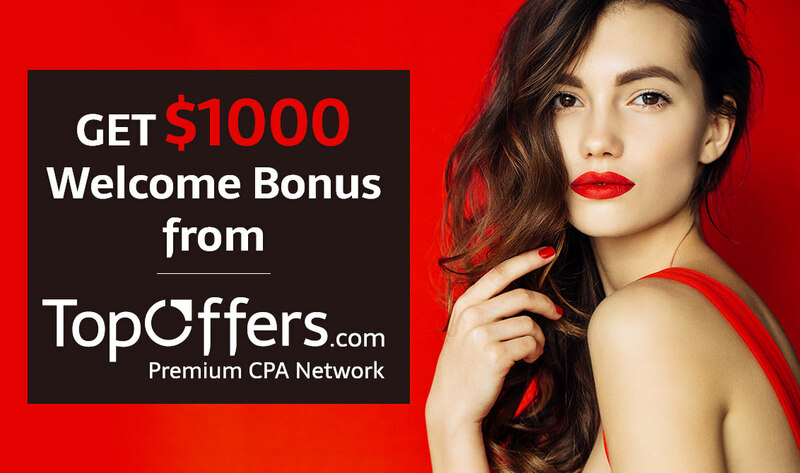 We invite you to join our network and make good money together! Get On Top. Stay On Top. Tujora and sagorhossain like this. yes, i want to work your network. Hi ranjanrte, pm was sent to you. Cheers and have and awesome day! MD ZIAUR RAHMAN likes this. okay, i want your any offer. Hello I've been trying to sign up but the last stage wont just load. All I'm getting is error. I tried to sign in again and site saying email already exist. My email is aglnks at yahoo dot com. I want your network member. Hi ranjanrte, check our pm on Facebook. okay, i already add you facebook. but i want approval your network now. 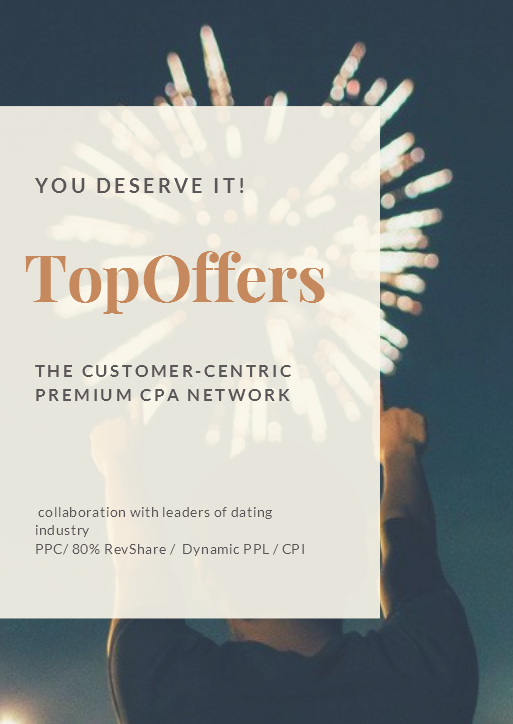 TopOffers - innovative CPA Network. 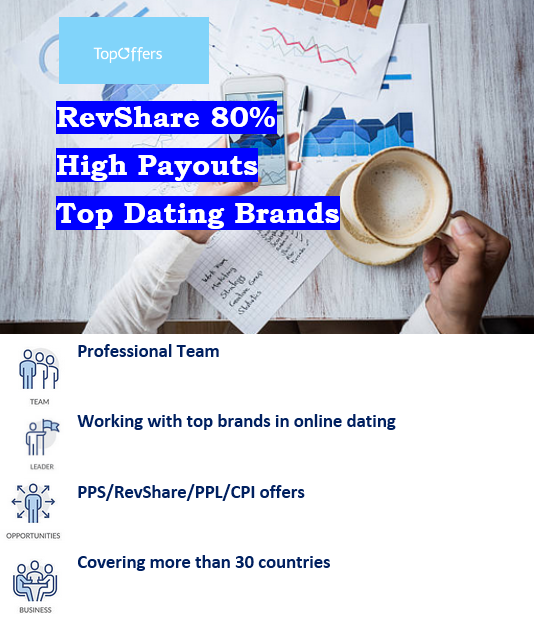 Up-to-date online dating affiliate programs for 30+ countries, smart link technology, high EPC, collaboration with leaders of dating industry: Together Networks, NSI Holdings, IWantU Networks, and UpForIt Networks allows to maximize profit from each lead.